Every photo has a story to tell, and the eldest son of Argentine-born Marxist revolutionary Ernesto “Che” Guevara is hoping that the photographs taken by his father will give people a fuller view of his life. 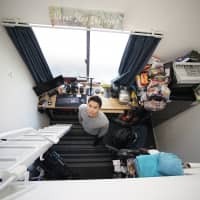 An exhibition starting in Tokyo next Wednesday will showcase for the first time in Japan around 240 photographs taken by Guevara, whose iconic image still emblazons T-shirts and posters around the world half a century after his death in 1967. 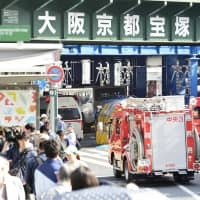 “What is extremely important is to get to know about the life (of my father), his thoughts and ideals,” Camilo, 55, said in a recent interview with Kyodo News through a Spanish interpreter on his first visit to Japan. As a medical student, Guevara witnessed injustice and poverty during a motorcycle journey across Latin America and embraced Marxism. He later joined Cuban communist revolutionary leader Fidel Castro to carry out the Cuban Revolution, which led to Castro seizing power in 1959. Guevara then moved up the ranks of the Cuban government led by Castro but left in 1965 for Congo and then Bolivia to export the revolution elsewhere. He was executed by Bolivian solders in 1967 at age 39 and has since become a symbol of heroism, rebellion and radicalism, either revered or reviled. 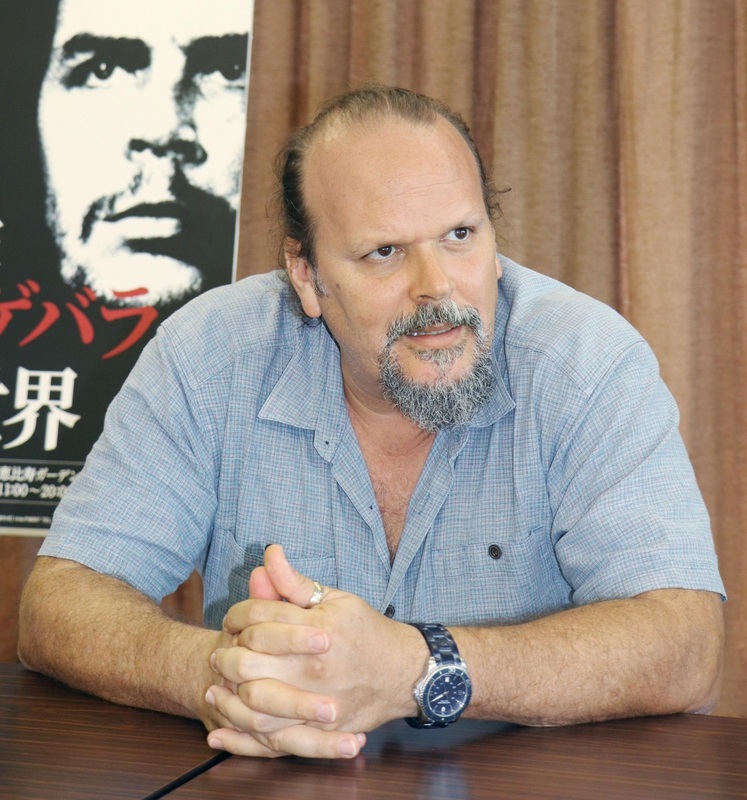 Camilo, a coordinator of Centro de Estudios Che Guevara, a museum in Havana dedicated to the research and promotion of Guevara’s thoughts, life and achievements, said he will be “very honored” to share his father’s photos with Japan from Aug. 9 to Aug. 27 as the exhibition marks the 50th anniversary of his death. 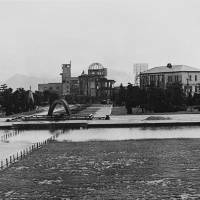 Of particular interest are Guevara’s shots of Hiroshima, which include a cenotaph for the atomic bomb victims. Camilo’s Japan trip will include a stop in Hiroshima, where he will join the annual ceremony to commemorate the 1945 A-bombing of the city. 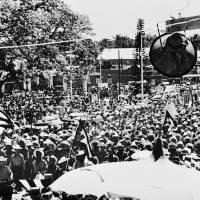 For many younger Japanese, Guevara is known by the iconic photograph of him taken in 1960 by Cuban photographer Alberto Korda. Camilo said he does not want people to learn about his father from information simply passed on by others, but to let Guevara’s photos and books speak to them. 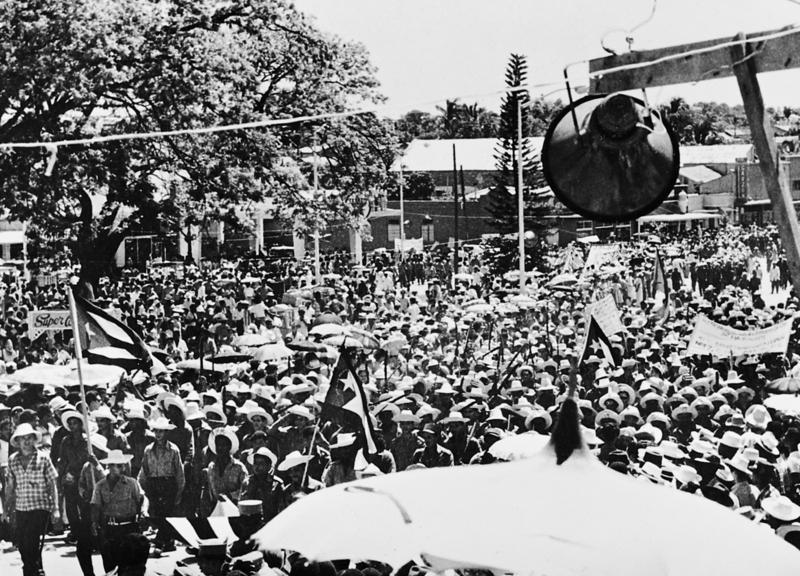 In Japan, there is another opportunity to learn about the revolutionary. 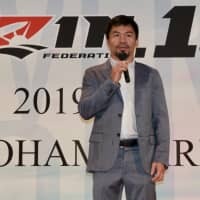 The film “Ernesto,” which depicts a guerilla fighter of Japanese descent who fought alongside Guevara in Bolivia, is set to be shown in Japan in October. “Today’s world remains a world of inequality. That has not yet been corrected, and there is a need to change that. Which is probably why young people look at him as a symbol or model to steer the world in a better direction,” Camilo said. If Guevara were alive today, he would have witnessed major changes in the political landscape surrounding Cuba. These include the 2015 restoration of diplomatic ties with the United States, which were severed in 1961, and the visit of Barack Obama, who became the first sitting U.S. president to step foot on the island in 88 years. 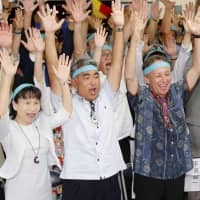 He would also be seeing the partial rollback in the U.S. rapprochement toward the Communist island, notably the imposition of new travel restrictions by current President Donald Trump. “It would certainly be ideal if people, after learning about his life, became inspired to take up the cause of rectifying inequality” in the world, Camilo said. 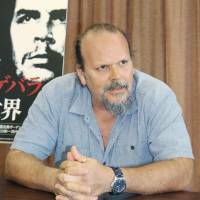 Recognizing it would be a tall order to ask everyone to take up such a cause, Camilo simply asks the public to “know more deeply” about Guevara’s life through the forthcoming exhibit, which was undertaken at the initiative of a Japanese friend. Photos his father took of himself while hiding in Tanzania and in disguise in Bolivia are among his favorites. Stressing that “every photo has a meaning and episode,” Camilo expressed hope that even a single piece would strike a chord with visitors.